Get happy with your logo custom 4CP Printed on SPF 15 Lip Balm. Applications include advertising, marketing, giveaways and gifts. Strawberry, unflavored & Vanilla is the default. Overall size is 2 1/8 wide x 5/8 diameter. Delivery from date of order 2-3 weeks. Price includes almost unlimited print colors in area 1 5/8" w x 1 1/4" h.
We were in the market for an inexpensive giveaway for our six convenient care clinics and I found it at PII. 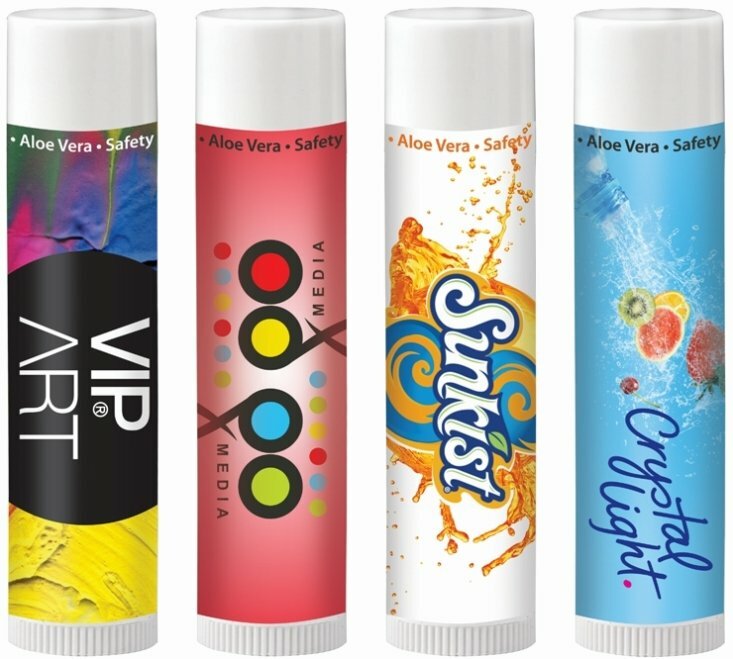 Not only was the price right, the lip balm was quality, our CEO loved the vanilla flavor and the printing was fantastic! As a new customer I am very satisfied and will be back.